Our military must be focused on decisive and overwhelming… victory and cannot be burdened with the tremendous medical costs and disruption that transgender in the military would entail. Thank you. President Obama had allowed trans people to serve openly in the military, but Defense Secretary James Mattis recently delayed enacting those policies. Now it looks like they’ve been thrown out wholesale. Here is the reality… Transgender Americans are ALREADY serving in uniform, honorably and effectively. They are correct. Statistics from the UCLA School of Law’s Williams Institute shows an estimated 150,000 transgender people have served in the U.S. armed forces or are currently on active duty. What does this mean for all those trans people already in the military? Well, I suppose they’ll have to leave or once again go back to living a dangerous lie in unwelcome territory. You have to wonder where this order is really coming from. Evangelical leaders who have been pushing for a trans ban in the military have also boasted about having unprecedented access to this President, and the military already researched the issue under Obama, so why should we believe this is about saving money or preventing “disruption”? 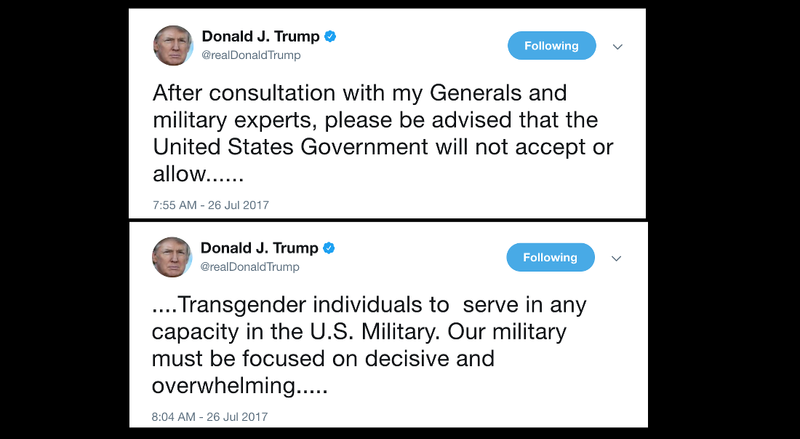 Is Trump saying our military is failing right now despite all the trans people serving? 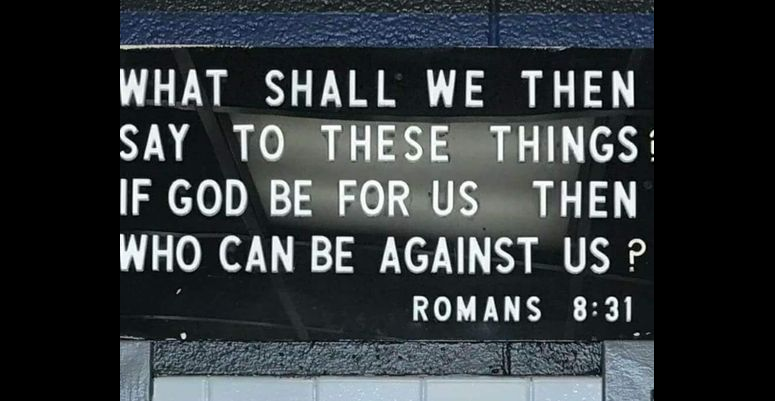 It seems like nothing more than another attempt by Trump to shore up his base — evangelicals who, in large part, believe being transgender is morally wrong. Which means Trump is even willing to kick out men and women who serve in our military to appease the Christian Right. Sure, they’re willing to give their lives for this country, but Trump cares more about votes from evangelicals. The backlash is swift and fierce… from everyone outside the Christian Right. “President Trump is dragging America backward with his attacks on transgender patriots in the military,” said Roy Speckhardt, executive director of the American Humanist Association. “The Military Religious Freedom Foundation (MRFF) condemns in the most effusive and strongest manner possible the base, evil, vile, idiotic, bigoted and counterintuitive decision by Trump, the current 5-time draft dodging, “bone spur alleging” occupant of the White House, to ban all transgender human beings from being allowed to honorably serve their country in the United States armed forces. If you or someone you know is a trans person serving for this country, the ACLU wants to hear from you.